Detention warrants have been issued for six family members of Hüseyin Korkmaz, a former İstanbul police officer who testified at the New York trial of Mehmet Hakan Atilla, an executive of Turkey’s state-owned Halkbank accused of helping launder money for Iran, Hürriyet reported. 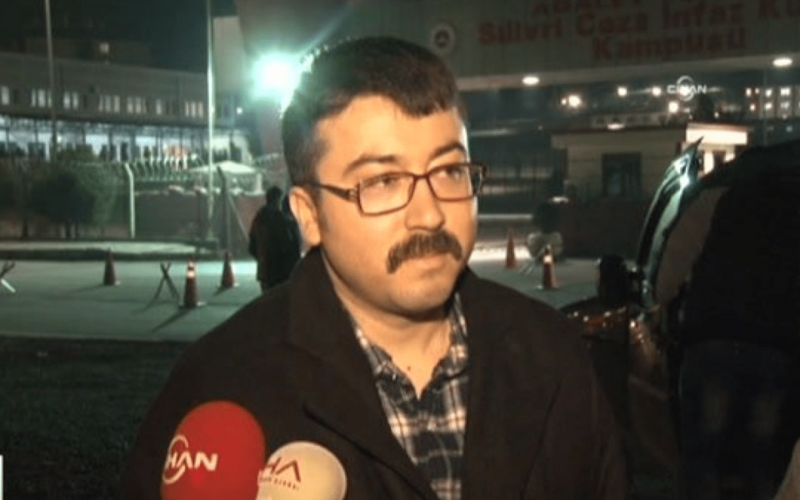 According to the report detention warrants were issued for Korkmaz’s mother, father, wife, two sisters, brother and lawyer over testimony in court in which he said he had given documents to his mother for safekeeping. The police could not find any of the six people at their addresses of record. Korkmaz called then-Prime Minister and current President Recep Tayyip Erdoğan the “No. 1” target in a group that also included Mehmet Zafer Çağlayan, the former economy minister, and Süleyman Aslan, a former chief executive at Halkbank, a large Turkish state-owned bank that was central to the sanction-busting scheme. Korkmaz, who was arrested by the Erdoğan regime in the aftermath of corruption operations in late 2013 and released in 2015, said the investigation initially focused on the organization run by Iranian gold trader Reza Zarrab but later grew to include dozens of others. Zarrab was the prime suspect in a major corruption investigation in Turkey that became public in December 2013 and implicated the inner circle of the ruling AK Party government and Erdoğan. Zarrab was alleged to have paid Cabinet-level officials and bank officers bribes to facilitate transactions benefiting Iran. After Erdoğan cast the case as a coup attempt to overthrow his government orchestrated by his political enemies, several prosecutors were removed from the case, police were reassigned and the investigation against Zarrab was dropped in Turkey. Police notes of the Dec. 17 operations show that Zarrab personally talked with Erdoğan on April 13, 2013 and asked for an official police guard. Erdoğan and his Cabinet approved it immediately. A phone call and a video in the Dec.17 file show that Zarrab in July 2013 sent an unspecified amount of money to the Service for Youth and Education Foundation of Turkey (TÜRGEV), run by Bilal Erdoğan, Erdoğan’s son. Zarrab, who was arrested in the US in March 2016, and eight other people, including Turkey’s former economy minister and three Halkbank executives, have been charged with engaging in transactions worth hundreds of millions of dollars for Iran’s government and Iranian entities from 2010 to 2015 in a scheme to evade US sanctions. This article originally appeared in Turkish Minute on Dec 20.